Please join us for a High Holiday program that's meaningful and easy-to-follow, in a warm and friendly environment. 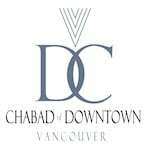 Once again, Chabad of Downtown Vancouver will be providing High Holiday services for Rosh Hashanah & Yom Kippur. The traditional High Holiday services conducted by Rabbi Binyomin Bitton, are interactive, full of commentary, stories and contemporary messages. Happy New Year! Shana Tova! Please click here for a complete schedule of the Rosh Hashanah & Yom Kippur services. Please register below in order to attend the High Holiday services and submit your tax-deductible High Holiday donation. Join fellow Vancouverites for what will surely become one of Vancouver’s landmark annual events. Click here for our High Holidays Super Site.